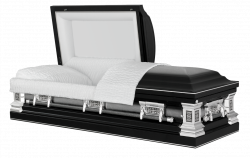 Cremation Caskets are coffins intended to be displayed at a funeral, but they are not ultimately buried. 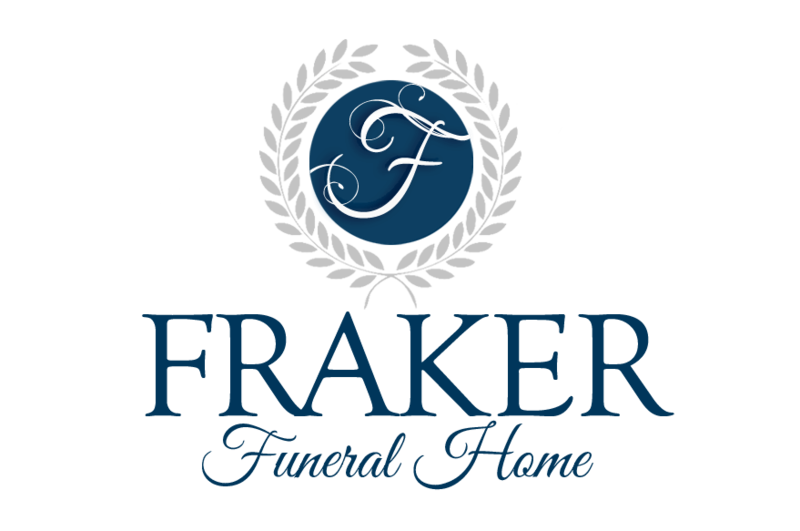 These are commonly used when a person is to be cremated but the family wants to conduct a traditional funeral service in which the body is displayed in a casket before the cremation. Designed with practical needs in mind, a cremation container encases the body for transportation to the crematory and is used during the cremation process. 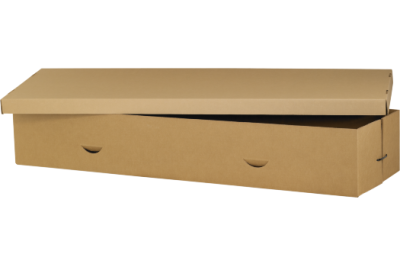 The various choices of materials, such as fiberboard or cardboard, keep affordability in mind for those selecting the services while respecting the dignity and reverence for the deceased. Hand crafted like fine furniture,each wooden casket has it's own unique graining pattern. The natural warmth and beauty of wood is available in a variety of types and species. 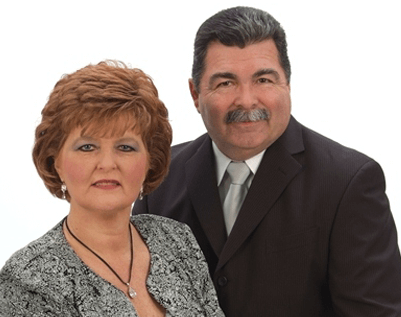 The interior material of a wood casket is typically either velvet or crepe. The classification "hardwood" simply means that the wood comes from a leaf-bearing tree. "Softwood" comes from the needle or cone-bearing trees. Therefore, designation as a hardwood is not determined solely by the consistency or surface hardness of the wood itself, but the species of the tree from which it came. 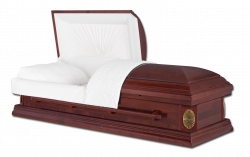 Cost can vary depending on whether the sides of the casket are constructed from solid wood or a veneering process has been utilized. Once closed, a locking mechanism draws the lids onto the base and the gasket forms a seal. This protective seal protects the deceased from the entrance of air and other gravesite elements. The discovery of Chromium in the mountains of Russia in the late 1700s led to the development of the alloy we now know as Stainless Steel. Stainless Steel is rust resistant material and is featured in high quality metal caskets. 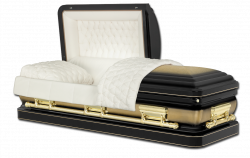 Most Stainless Steel caskets offer velvet interiors and come in both painted and brushed finishes. 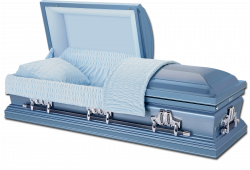 Semi-Precious metal caskets are largely manufactured out of elements such as solid Copper and Bronze. 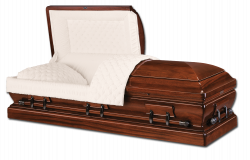 Meticulous in their finish, design and quality interiors, these caskets represent the finest of tributes available.